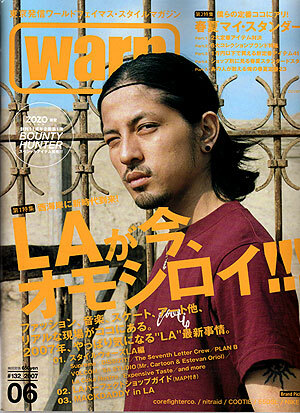 Warp Japan’s “L.A.” issue has finally dropped overseas, with extensive profiles on the independent brands and stores repping Fairfax Ave.
There’s also a group-shot of the clan: Reserve/Freshjive, SLB, Flight Club LA, Crooks & Castles, Twelvebar, Diamond, and The Hundreds. Next time you visit the block, just remember to leave your smiles at home. We make a living selling t-shirts and sneakers, and we’re pissed off about it !!!! !